One of the country’s leading financial journalists is saying what many advisors have long believed about mortgage life insurance. Data from one of Canada’s top research companies suggests that private insurance plans are spending billions in unnecessary medication expenses. Citing Express Scripts Canada, CBC News has reported that from 2011 to 2015, more than $3 billion per year was spent by employer-funded insurance plans in Canada on expensive drugs when there are cheaper options available, as well as unnecessary dispensing fees. That amounts to $15 billion in unnecessary drug expenses — nearly a fifth of the total spent by private insurance companies over that time, which is $81 billion. “It's key for Canadians to know this because they can save themselves as well as their employer money by choosing to take advantage of those lower-cost, clinically effective medications,” John Herbert, who is the director of strategy, product development, and clinical services for Express Scripts Canada. The CBC News report focused in particular on expenses for type-2 diabetes medication. Clinical guidelines issued by the Diabetes Association of Canada recommend that doctors first prescribe generic drug Metformin, which costs just $65 per year and has a proven history of effectiveness. If it fails to work, patients can be moved to other more expensive alternatives. But it was found that in the case of private insurance plans in Canada, doctors first prescribed more expensive drugs — which can cost up to $3,000 yearly — in 30% of cases. Based on data from Express Scripts Canada, this resulted in $100 million of unnecessary diabetes drug expenses in 2015 alone. According to healthcare data provider IMS Health, diabetes drugs are the fastest-growing category of drug expense in Canada. While there may be specific circumstances which could justify doctors bypassing the general prescription guidelines, there may be other factors at play. “My guess is that drug promotion is very influential in terms of doctors not following the guidelines,” said Toronto family doctor Sheryl Spithoff. Experts also point to the fact that drug companies are doctors’ primary source of information on the potential benefits of new drugs. This opens a window for drug makers to possibly promote their own products, even if they’re not the most effective or affordable on the market. 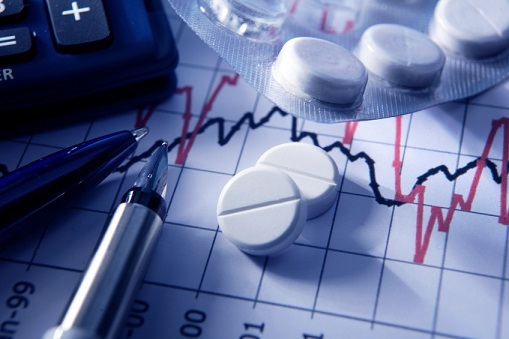 According to Stephen Frank, president and CEO of the Canadian Life and Health Insurance Association, insurance companies are offering programs to help cut down on unnecessary spending in company drug plans — which more and more employers are beginning to use. “That's taking a bit of time on the private side ... it's a question of how quickly it's going to move, not a question of if,” Frank said.